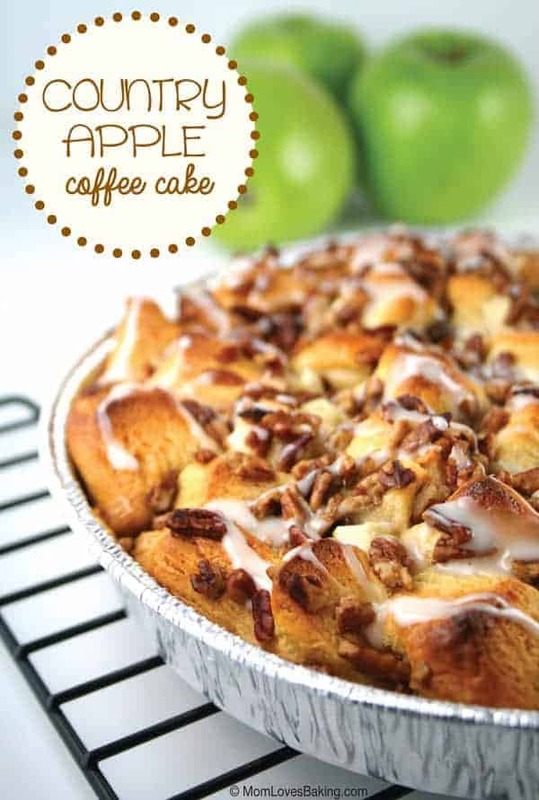 Country Apple Coffee Cake won the 31st Pillsbury Bake-Off in 1984. 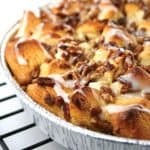 Recipe on Pillsbury.com by Susan F. Porubcan of Jefferson, Wisconsin. This is a super easy yet impressive breakfast. Great for your guests at the holidays. It even has some booze. That’s right, there’s whiskey in it. It’s only 1 1/2 teaspoons but you could add more if you’re feeling festive. 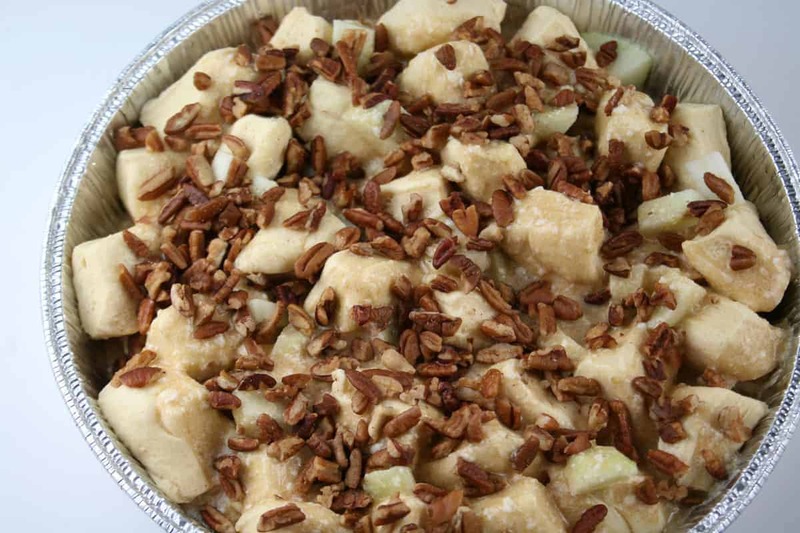 Start by putting chopped apples in a greased pan. I prefer Granny Smith. Then add a mixture of butter, brown sugar, cinnamon, corn syrup, whiskey, egg and pecans. 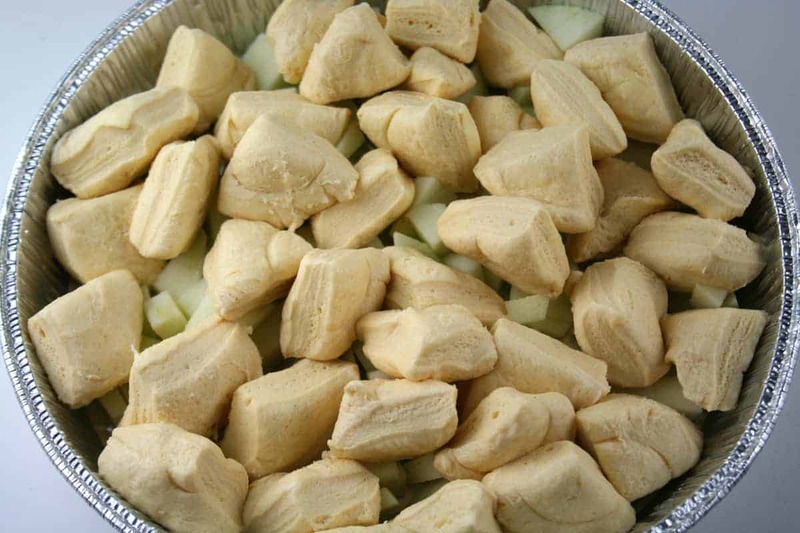 Spoon over biscuit pieces and apples. Bake at 350°F for about 40 minutes. Let cool and drizzle with icing. Easy peazy! And your guests will ooh and ah. Heat oven to 350°F. 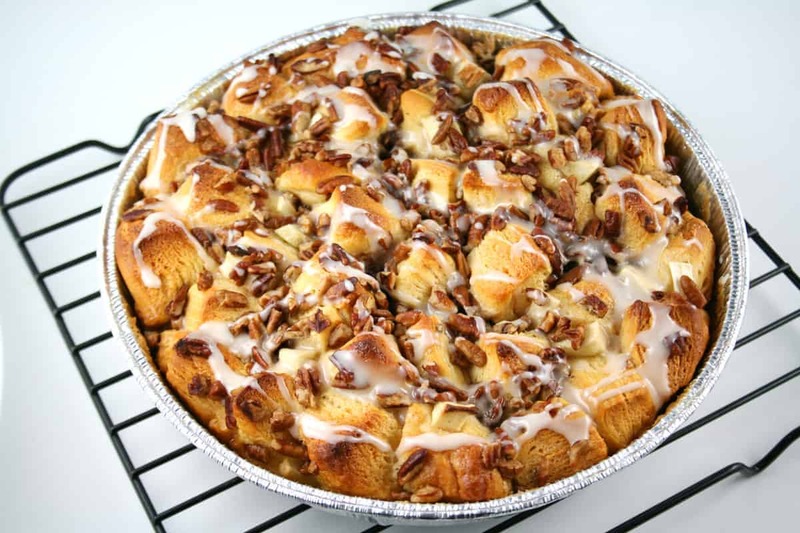 Using 1 tablespoon of the butter, generously grease 9-inch round cake pan or 8-inch square pan. Spread 1 cup of the apples in pan. Separate dough into 10 biscuits. 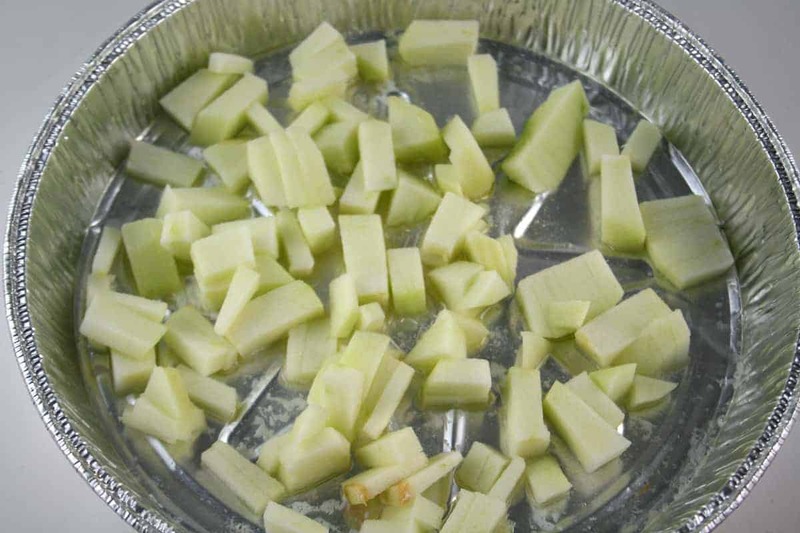 Cut each into quarters. Arrange biscuit pieces, points up, over apples. Top with remaining 1/2 cup apples. In small bowl, mix remaining 1 tablespoon butter, the brown sugar, cinnamon, corn syrup, whiskey and egg; beat 2 to 3 minutes or until sugar is partially dissolved. Stir in pecans. Spoon over biscuit pieces and apples. Bake 35 to 45 minutes or until deep golden brown. Cool 5 minutes. If desired, remove from pan. In small bowl, mix glaze ingredients, adding enough milk for desired drizzling consistency. Drizzle over warm cake. Serve warm or cool. Cover and refrigerate any remaining coffee cake.